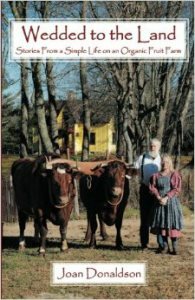 A great review for my friend, Joan Donaldson’s book, Wedded to the Land. If reading takes us places, I spent much of late 2014 and early 2015 in western Michigan, a place I’ve never been and know little about. Emily St. John Mandel’s acclaimed post-plague novel, Station Eleven, features a roving band of Shakespearean actors traveling along the eastern shore of Lake Michigan. Lisa Lenzo’s short story collection, Strange Love, is set in the arty resort town of Saugatuck and nearby Grand Rapids. Some of the stories in Monica McFawn’s Bright Shards of Someplace Else (the 2013 Flannery O’Connor Award winner) are set in the same area.